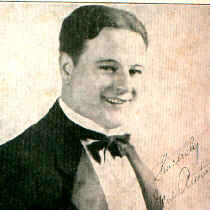 Bix Beiderbecke wasn’t the only one creating beautiful music in 1927. As the following recordings demonstrate, there was a wide variety of honey-sweet music being made, ranging from mellow jazz to sentimental vocal pop. When talking about Trumbauer’s 1927 recordings, it is easy to forget everything except Bix Beiderbecke, but to do so would be to overlook how tremendously talented the entire group was. 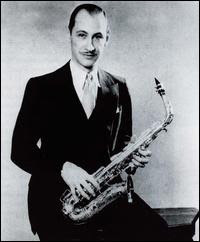 That talent begins with Trumbauer himself, who despite his unusual choice of instrument (the rare C-melody sax, which falls between alto and tenor) helped define the role of saxophone in jazz. This recording of his composition “Trumbology” contains his most influential playing. Yes, Bix is here and you can hear him in places if you listen carefully, but it is Trumbauer that dominates this record from start to finish and takes his place as one of the great jazz innovators. “Tram” (as he was nicknamed) is in top form here, with exceptional intonation and timing. In several places, he runs through a series of notes with astonishing speed and control, managing to maintain a sense of cool even as he dazzles. Years later, the great saxophonist Lester Young would cite Tram as his biggest influence. 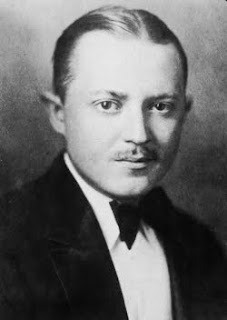 As a teenager spellbound by jazz, Bix Beiderbecke had taught himself to play cornet, but he already had a musical background, having taken piano lessons as a child. He continued to dabble in his first instrument throughout his life, and the tinkering eventually yielded several compositions. His recording of “In a Mist” (sometimes called “Bixology” in later releases) is one of the highlights of his career. While he is not as refined on piano as on cornet, like everything else Bix played, this record is both wonderfully inventive and incredibly beautiful. There are clear nods to ragtime, but also many places where his style is wholly his own. As you listen to this, keep in mind that this was his only solo piano recording. When Bix’s troubled life came to its tragic end, we lost a tremendous talent who had only begun to show us what he was capable of. As college became more accessible to Americans in the early 20th Century, collegiate life became a common pop-culture point of reference. “The Varsity Drag” is a great example of this and proved to be one of biggest hits of 1927. George Olsen’s recording was one of many versions to flood the market, and to my ears the best. Fran Frey’s understated, even singing style provides wonderful contrast to the jazzy accompaniment. He seems almost out of his comfort range when he raises his voice to sing, “Down on the heels! Up on the toes!” and it gives the sweet song just a slight bit of edge. (So does the punctuation added by the baritone sax in the final section.) Yes, it is sugar-coated light jazz, but it is also a fun song that captures the optimism of the Roaring Twenties. And it rightfully sparked a dance craze on campuses across the country.